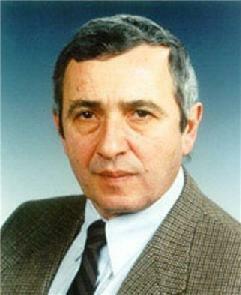 Ivan Karabyts (1945-2002) was one of Ukraine's leading composers. Karabyts graduated from the Kyiv Conservatory after studying with Borys Lyatoshynsky and Myroslav Skoryk. That same year, his concerto for chorus, soloists and orchestra entitled The Garden of Divine Chants to texts by Hryhoriy Skovoroda, marked the beginning of a highly successful and eclectic creative journey. Before the decade came to a close, Karabyts' oeuvre already included three symphonies, two concerti for orchestra, two piano concerti, five vocal-symphonic works, a ballet, and three shorter orchestral works. Within the same time frame, the composer developed an impressive and diverse catalogue of chamber and vocal works, as well as some of Ukraine's best loved pop songs. Karabyts was awarded the title of Merited Artist of Ukraine, and served for ten years as one of the chief executive officers of the Ukrainian Composers' Union. In 1992, he became the Union's First Secretary. He was the director of the international music festival Kyiv Music Fest, the music advisor to Ukraine's Ministry of Culture and a member of Ukraine's UNESCO Committee. His large-scale work, the Jubilee Cantata, was premiered at New York's Carnegie Hall on February 19, 1994. Karabyts' works are frequently performed in Europe, the United States and Canada.